Jenesis Sanchez, XXXTentacion’s girlfriend, gave birth on Saturday to baby boy Gekyume Onfroy. 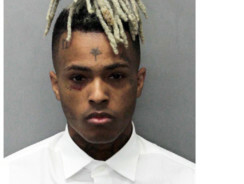 The birth was announced Saturday evening by XXXTentacion’s mother Cleopatra Bernard. The 20-year-old rising star, whose real name is Jahseh Dwayne Onfroy, was fatally shot in June in Florida in what authorities called a robbery attempt. XXXTentacion’s sophomore album debuted No. 1 on the Billboard charts last March. In December, a posthumous album also reached No 1.